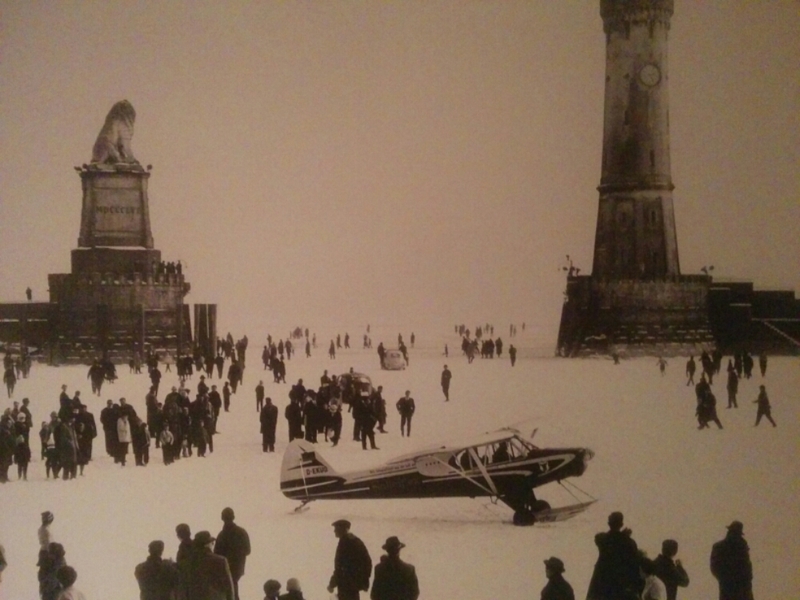 I saw this picture in the hotel yesterday from times when one could land one’s plane in Lindau harbour. Looks like he’s just landed as he’s still in the cockpit. Also note the car heading out to sea. I’m pleased to report that the rain stopped sometime during the night and I awoke to a bright day. I made the most of the continental breakfast at the hotel then pootled around the island, before taking the coast road out. I found a bike shop and picked up a cheap pair of gloves. Not as much padding as the ones I had, but they will do. Even from just one day with no gloves my hands are sore. So gloves, for me at least, are an essential piece of kit. 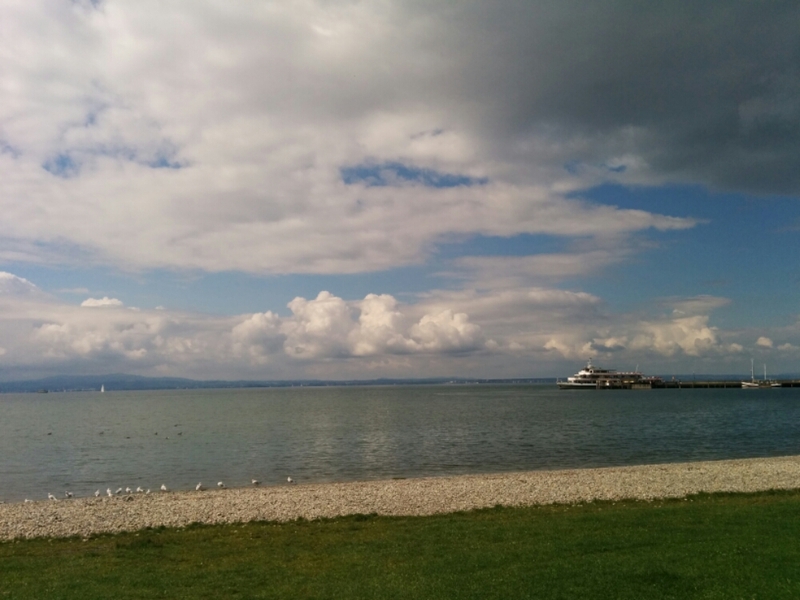 Bodensee is famous for its apples. 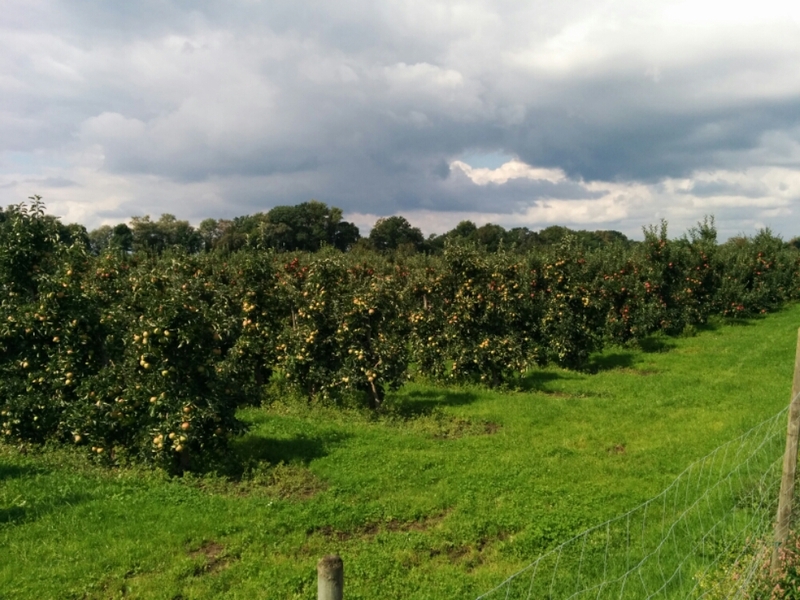 I cycled past lots of apple, pear and plum orchards today. I bought a kilo of local apples from a roadside kiosk, which will come in handy I’m sure. It’s quite compelling to grab small opportunities like this when they arise. I have to travel light and enjoy taking the odd serviette, complimentary hotel toiletries etc for the journey ahead. 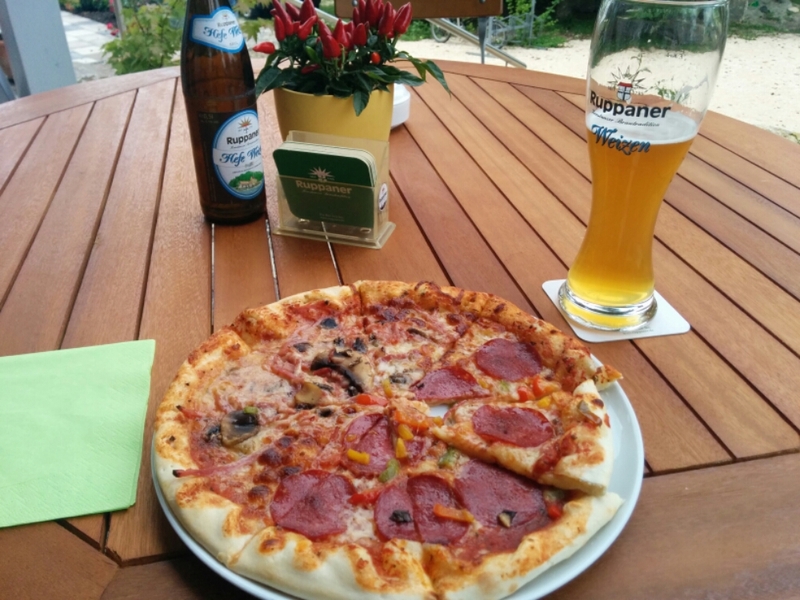 I stopped off at a backerei in Friedrichshafen at lunchtime for a sandwich and coffee. 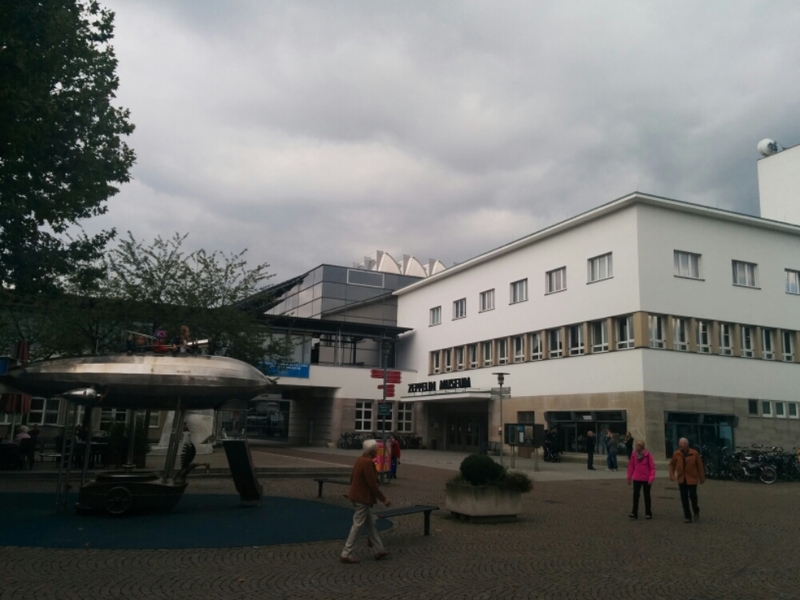 Friedrichshafen houses a Zeppelin museum, since the original Zeppelin airships were developed here. 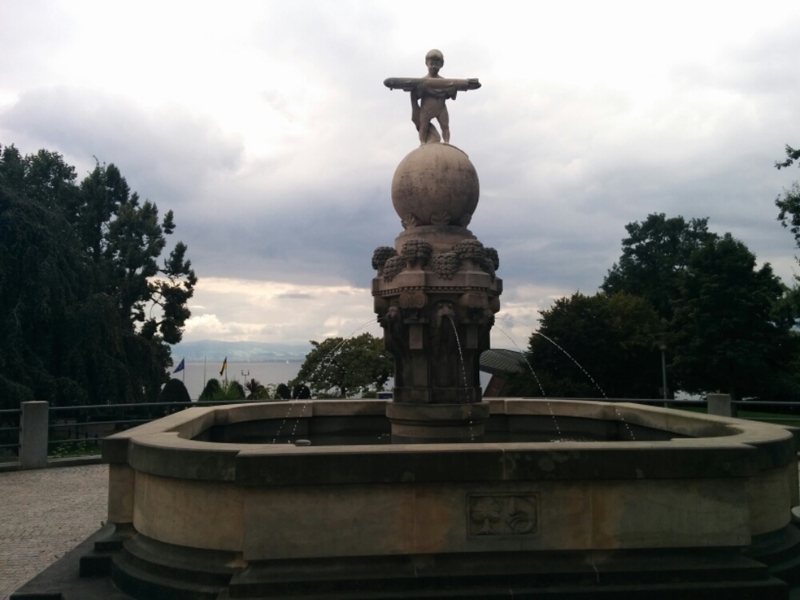 Count Zeppelin is from Constance – a big town on the other side of Bodensee, which also gives it its English name Lake Constance. Despite being very interested in visiting, I didn’t fancy leaving the bike and my tour belongings outside whilst I disappeared for three hours, so instead I popped into the museum shop and bought the comprehensive guide in English, which is tonight’s reading. 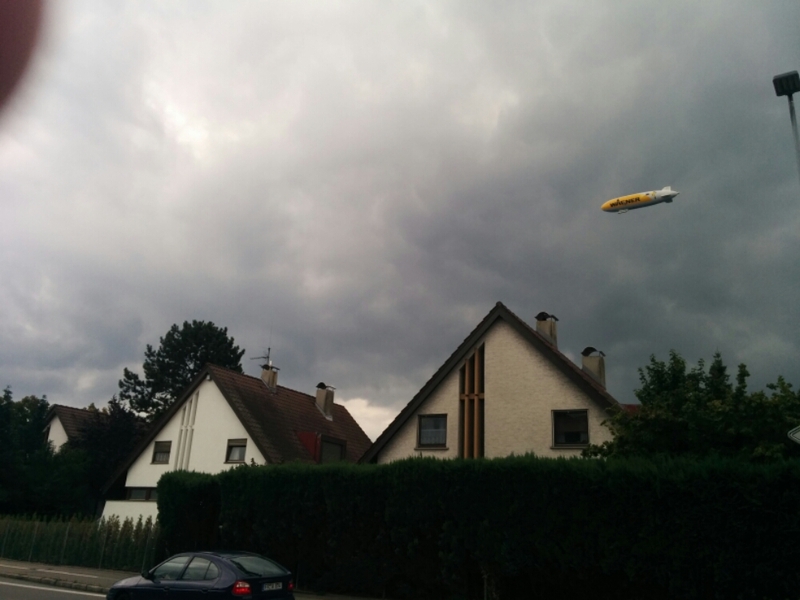 The blimp is on the right. My thumb is on the left. 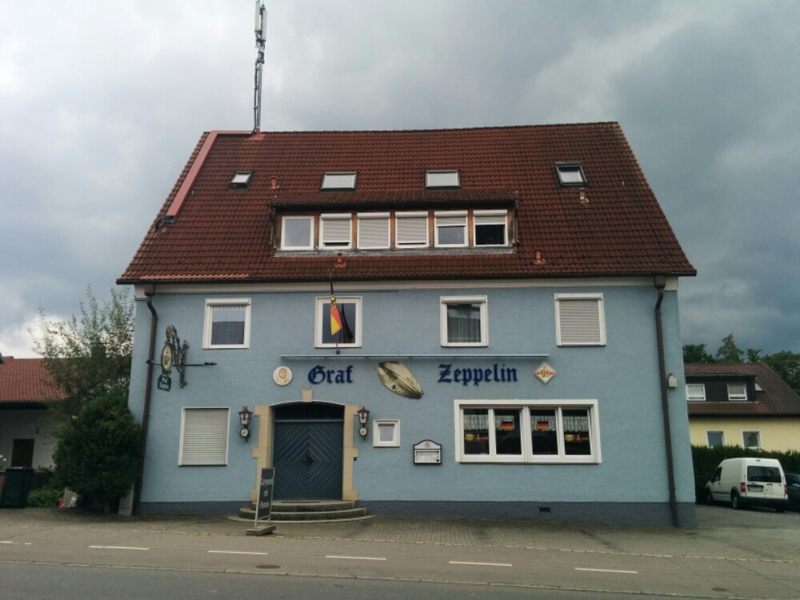 To guesthouses.. Graf Zeppelin aka LZ 127 circumnavigated the world (can you tell I’ve been reading the guidebook?).. Navigation was easy today. I just followed the signs and kept the lake to my left. 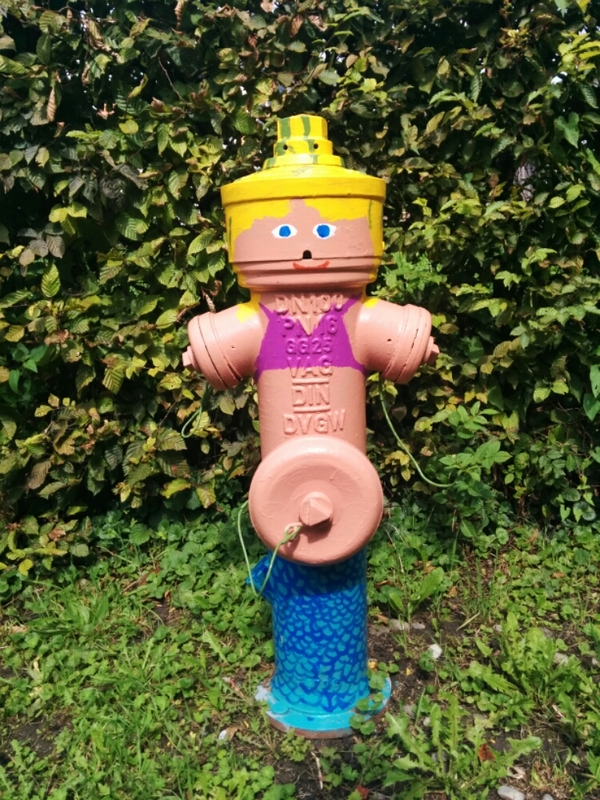 I happened across this mermaid painted hydrant which is a good match for the one last week. At an appropriate point in the afternoon I set my satnav to find a campsite and left the coastal path. Navigation immediately took me up a long and steep hill, then onto what I think were logging roads through forest for about 3km. Tracks were rough going in places. Thanks Garmin! This bit of track was OK. 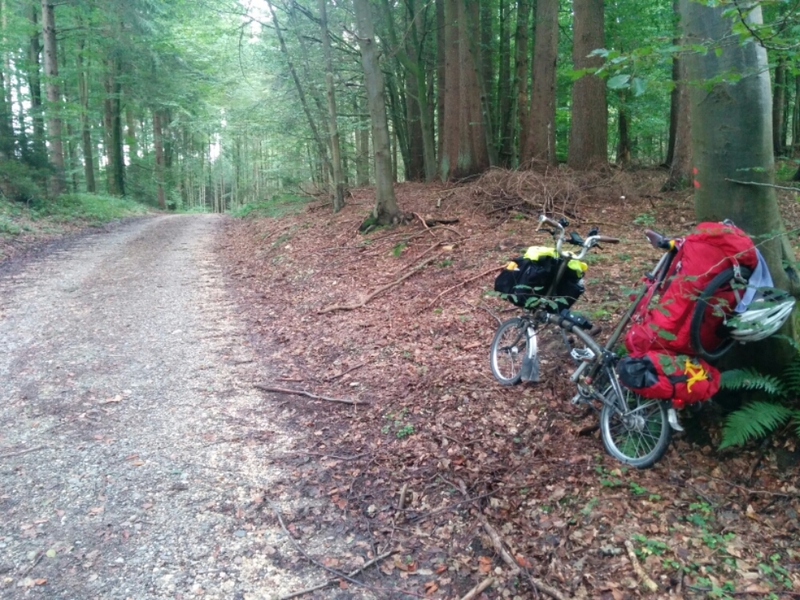 The last bit was downhill over very rough track and I was barely able to stop the bike. In equal measures enjoyable and terrifying. Campsite just had enough room for a small tent fortunately. They didn’t have a shop, but they did offer pizza, which, after 80km of pushing my heavy bike around was once again very welcome. 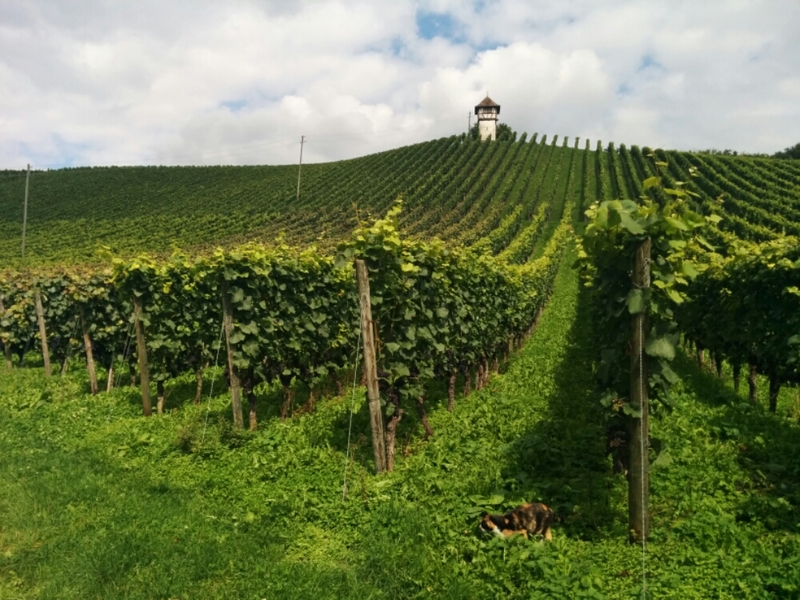 Lindau to Wahlwies, 82 km. Total so far = 1,997 km. Next: Next post: Day 25 : Do I smell yet?